I have a question regarding my marriage 4 years ago which lasted only 5 months, i was married in islam 2 years after i was married in civil. That was year 2014, However me and may ex husband got separated 5 months after we were married in a mass wedding provided by our municipal mayor. People say that the papers given a few weeks after the mass wedding is only a requirement to register our marriage to LCR, and i dont even remember my parents signing the papers during the mass wedding, and i tore the paper given to us which i forgot what paper was that. 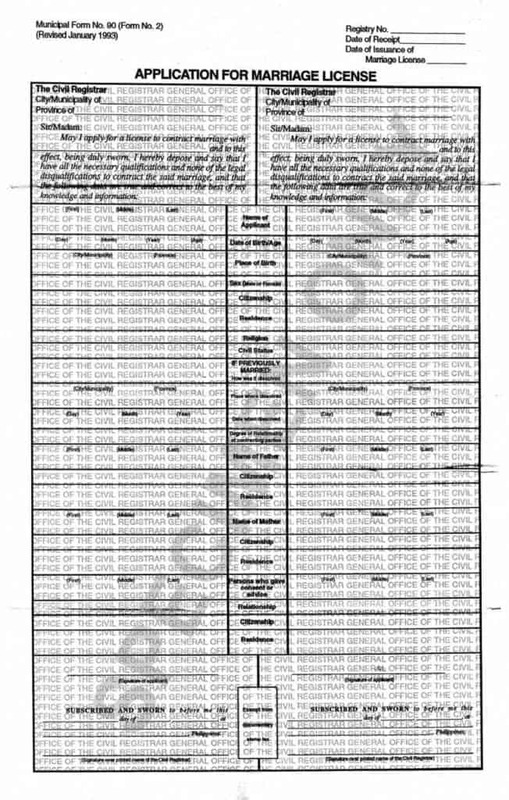 Now that we’re 3 years separated, me and my new partner planned to get married cause i didn’t expect that our wedding with my ex husband was registered, i got a cenomar last week and shows that i was registered, i really have a hard time understanding how the mass wedding goes, please help me understand. 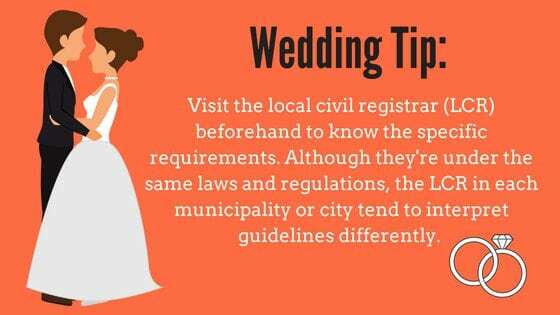 If you were able to participate in a mass wedding, that means your union is legitimate since no one won’t be allowed to get married in the Philippines without a marriage license. You need to go through a legal process before you can be remarried again. Hello for pre-marriage counseling is it still required to attend even were 30 years old? Do you have any schedule on sept?for the legal capacity? 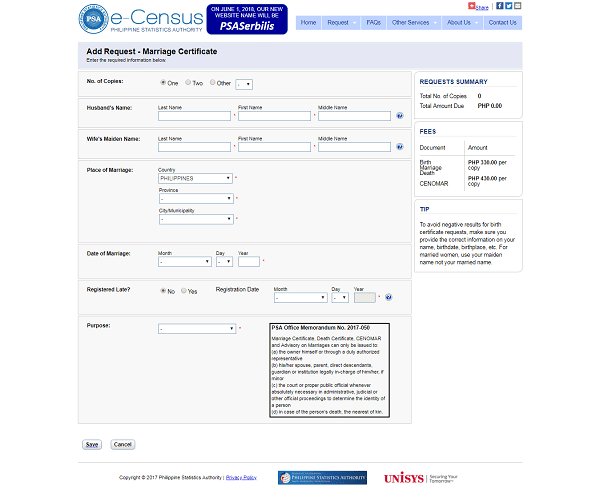 I just want to ask about Certificate of Capacity to Marry. My partner is a Belarusian,we are planning to get married in the Philippines soon. I would like to ask if where we get that certificate?…We don’t have any idea about this. I am hoping for your reply. Great info here! Just want to ask (for anybody who has any idea about this) the 10-day waiting period, is it possible to get the license on the 10th day? 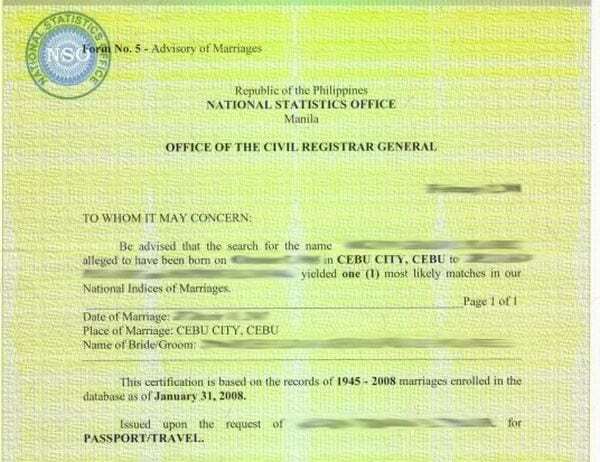 (for example we sent our application on 5th and get the license on 15th) We’re a bit in a rush because my fiance can only be here in Phils for 14days and we want to get married immediately since he won’t be able to visit next time within the 120-days expiration period of the license. Any idea will be greatly appreciated. Hi, I would like to ask about how one can get the Legal Capacity of Marriage. My fiance is from Ireland and he is now with me here in the Philippines. Should he need to go back to Ireland to request for the said document or he could just go to their Embassy and request it from there? Thank you. Still the same process if my fiancee was french ? Just add the LCM ? 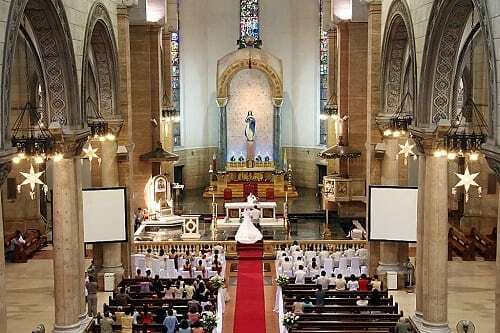 Hi me and my husband are planning to renew our vows in cebu and have church wedding i understand he need to get legal capacity paper… my question is do i have to get one also since i am a US citizen too? And can we get the legal capacity here in the US ? Your help is appreciated thank you. My name is Edna. Hi, what if in my cenomar, the requester’s name is misspelled but the information of the person being certified is correct. 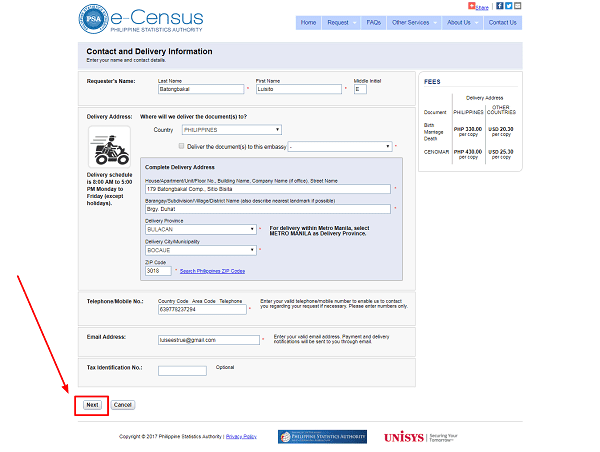 ” issued upon the request of ____________, the blank portion is the name misspelled, will the cenomar still valid? Hi. Im a filipino currently working here in japan and my fiance is in the US. We are planning to get married in the philippines right at the time we get in there. Is that be possible? With careful planning, nothing is impossible. Use the guidelines in the above article to get you started. Best wishes! 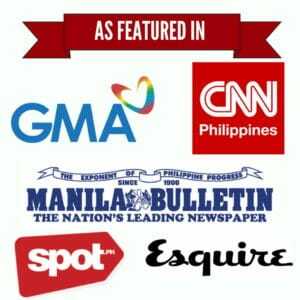 On acquiring “Affidavit In Lieu of a Certificate of Legal Capacity to Contract Marriage,” …. According to the US Embassy in the Philippines, this document “affirms that there are no legal impediments to the foreigner marrying a Filipino.” I feel that this requirement applies to a US citizen and a Filipino citizen. Do we have to worry about this requirement if both of us are US citizen intending to wed in the Philippines? Note that my husband was a US citizen by birth while I got my citizenship through naturalization. My embassy doesn’t issue “legal capacity” certificates, but I have only a certificate issued in my country from the Registry, certifying my single status. Can I use it in the Philippines? 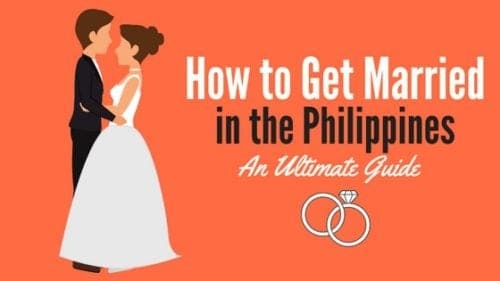 I am a UK citizen, in the process of retiring to the philippines (Midsayap) and to marry my Filipina lady, on the document planning to marry the affirmation document states I must give a place and date of marriage. Maybe you should ask the Embassy directly especially if you haven’t agreed on a definite place and date to marry. Personal appearance of both parties is required and non-negotiable. Since it takes almost two weeks for the license to be issued, I suggest you contact the LCR office directly to see if they’re willing to compromise.